Great Wipes Industrial Strength Hand Towels are waterless wipes made specifically for the air conditioning, refrigeration, and plumbing service technician. Each premoistened, heavy duty towel has strong pumice scrubbing power that conveniently cleans anywhere and anytime. The powerful, yet safe, cleaning agents in Great Wipes work together with an absorbent, non-scratching abrasive hand towel. The result is hands that are clean and left residue-free with a pleasant orange fragrance. These shop size durable towels quickly absorb to remove substances, such as lubricant, grime, ink, tar, caulk, sealant paint, epoxy, adhesive, grease, urethane, and much more. 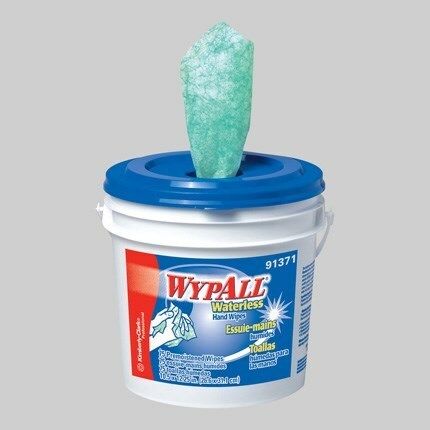 Great Wipes can also be used to degrease tools, tool boxes, equipment, work surfaces, metal, vinyl, painted surfaces, compressor parts, components, and more.